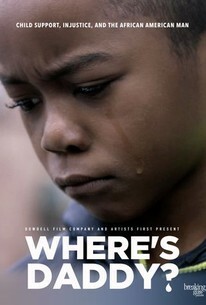 After directing the award-winning dramas Train Ride and Changing the Game, Philadelphia filmmaker Rel Dowdell successfully steps into the world of documentaries with Where’s Daddy?, which delves into the general problems of the child support system and how its problems specifically affects African-American fathers. As it’s presented in the film, it’s a serious issue that is rarely spoken about, but has great impact on the country’s African-American population. Dowdell is onscreen here as the interrogator of a series of compelling interview subjects, including psychologists, professors, journalists, lawyers, regular folks and even a former NFL player (Fred Barnett) and hip-hop artist (Freeway). It’s not long before viewers will recognize that there’s something obviously wrong with the system. But who’s going to fix it? 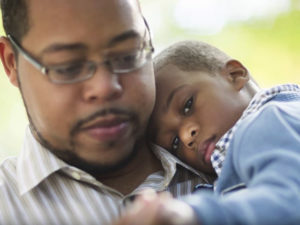 There are stories of devoted fathers who end up in prison when financial realties prevent them from making their child support commitment, testimonies of parents of several children from various partners, and insightful analysis by experts on how this phenomenon has impacted families and the African-American community at large. Where’s Daddy? offers nothing fancy in the visual department, but its straightforward, no-nonsense approach only adds to its power. It’s essentially the quizzical Dowdell eliciting answers from his principal subjects, and finding emotional personal stories in the process, some of which shatter myths along the way. Although Where’s Daddy? may initially appear as a plea for the fathers flummoxed by the system, the film remains objective throughout as Dowdell also talks to women to get their opinions and how the law affects their decisions about having children and their outlook on motherhood. Where’s Daddy? is a serious effort that plays more than a tutorial on its controversial but rarely examined subject matter because of the inherent human stories that are captured for the camera. But while the film shows the effects of the child support morass within African-American society, other audiences are certainly not immune to the system’s pitfalls. They will likely find some interest and, perhaps, enlightenment here, as well. Buy or Rent Where’s Daddy?